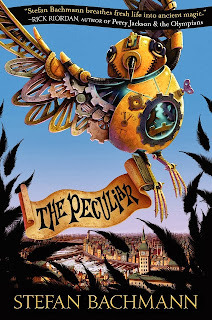 Stefan Bachmann's debut novel, The Peculiar, came out in the fall of 2012 when he was nineteen and could be considered accomplished for a writer with twice his age and experience. Although reading past the first in a series is rare for me, I just had to know what became of Bartholomew Kettle, Arthur Jelliby and, most of all, Barty's branch-haired little sister, Hettie in the sequel, The Whatnot. When we last saw Hettie, she was covered in spells written on her skin and, through magic employed by Mr. John Wednesday Lickerish, Lord Chancellor and first ever faery to serve in Parliament, Hettie herself had become a door between the human and faery worlds - a door that will also destroy London in the same way that Bath was destroyed decades earlier. However, as The Whatnot begins with a prologue, we quickly learn that London was spared and Arthur Jelliby has risen in rank and esteem. Then, we hear nothing from Mr. Jelliby or the determined Bartholomew until half way through the novel! 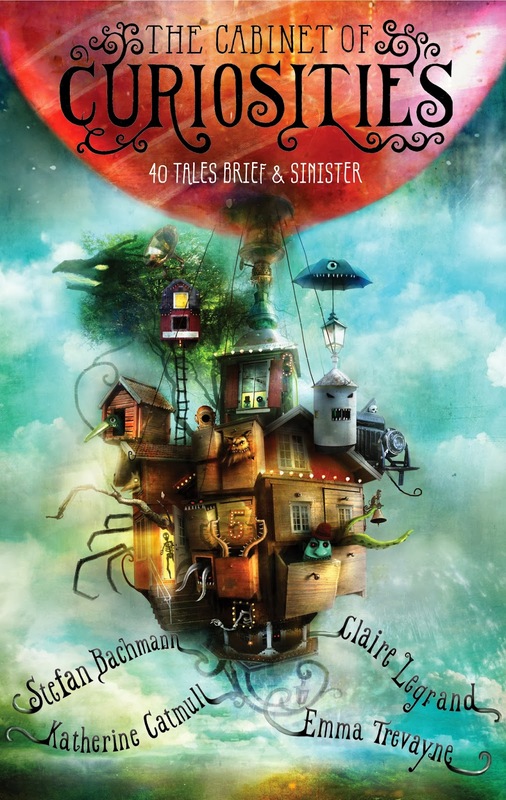 But, while I missed these characters and was desperate to know what had become of their lives, Bachmann's skill at developing characters and immersing his readers into a densely Dickensian world that you can almost smell, is superb. While Barty and Mr. Jelliby were never far from my thoughts, I was happy to meet Pikey, an urchin who lives in a hole under the stairs of a chemist's shop. Doubly cursed, Pikey is a dark skinned orphan who has gleaming silver eye that sometimes lets him see other people and places. He is faery touched, his own eye stolen and replaced with one that looks in at the Old World which is a dismal place, worse than Bachmann's London, if you can believe it possible. 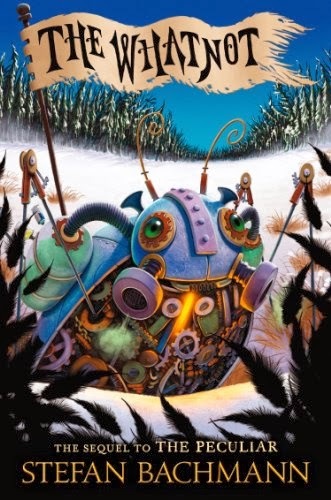 As Pikey finds himself strangely drawn into Barty and Mr. Jellibys hunt for a doorway into the Old World so that they can rescue Hettie, Hettie and the faery butler belonging to Mr. Lickerish make their way into the strange, desolate Old World, her only thought to find her way back to her brother. Hettie's time, which adds up to years, in the Old World is haunting and brutal at times. When the faery butler kills the strange creature poised to steal Hettie's eye, Hettie finds herself in possession of a pendant that seems to have a warm, dark brown human eye at its center. From the strange, storied house of the eye-stealing creature to the even stranger, continually under construction house of Piscaltine, the demented, cruel faery who decides to make Hettie her Whatnot and call her Maude, Bachmann's Old World is probably the most magically disturbing stretch of literary geography I have visited in a long while. How England prepares for yet another war with the faeries, including the stuning 300 ft tall iron prison globes that roll across the country like a slave ship crossing the ocean, thousands of faeries working to create the movement, and how the Sly King goes about opening the doorway between worlds that will finally allow his people to take their place in a world where they will rule the humans is stunning and magnificently concluded in two books! Other contributors to this book are Katherine Catmull, author of the haunting Summer and Bird, which I really need to finish reading and review here, Claire Legrand, author of The Cavendish Home for Boys and Girls and Emma Trevayne, author of Coda. oh my goodness, I have been meaning to read this one and now want to even more! Very satisfying ending to the story!